SmithDehn Northern Ireland and Social Construct Media NI, two new international companies, have announced their formation and offices on Artillery Street in Derry. At a launch party in Derry attended by HBO executives, Derry City officials, filmmakers, production companies, and hundreds of other supporters from across the UK, the US, and Ireland, the new companies laid out bold plans for film and television development, financing, production, sales, and legal services. The local hiring process for these companies is already underway in both Northern Ireland and across the border. SmithDehn Northern Ireland (‘SDNI’) will be set up by US-based media and entertainment law firm, SmithDehn LLP (see www.smithdehn.com for more). SDNI plans to hire and train legal talent from across Northern Ireland and Ireland to service SmithDehn's hundreds of film/television clients regarding US legal matters. SmithDehn's attorneys are the legal architects behind ‘Da Ali G show’ and ‘Borat’, as well as acclaimed features like ‘Searching for Sugar Man’ and ‘The Imposter’. SmithDehn's client list includes broadcasters such as HBO, Channel 4, and ITV; and Hollywood studios such as Sony Pictures, Twentieth Century Fox, and Paramount Pictures to name a few. At the New York/New Belfast Conference and Index 50 Luncheon at Fordham University next month, sponsored by The Irish Echo and KPMG, SmithDehn will be one of 50 transatlantic companies honoured for their business between the U.S. and Ireland. SmithDehn has also combined resources with visionary, award-winning Social Construct Films, to form Social Construct Media (see www.socialconstructmedia.com for more), a new force in international film and television development, financing, production and sales. 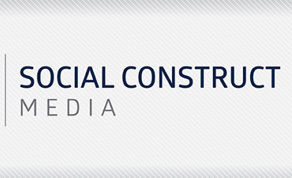 By marshalling SmithDehn's international connections, financing abilities, and industry knowledge, together with the development, production and sales experience of Social Construct Films, Social Construct Media is poised for success in Northern Ireland and around the world. One of Social Construct Media NI's first film projects will be a positive, uplifting, scripted drama featuring Northern Ireland, arising from ideas to be developed by a local, cross-community story collective. At the moment, Social Construct Media NI has a slate of three films and three TV series planned for shooting and post-production in Northern Ireland, starting as early as this autumn.